Somewhere at the end of my first trimester I heard the term “working out for two” and the phrase really stayed with me, maybe for the simple reason that we Indians have an oft repeated phrase “eating for two”. 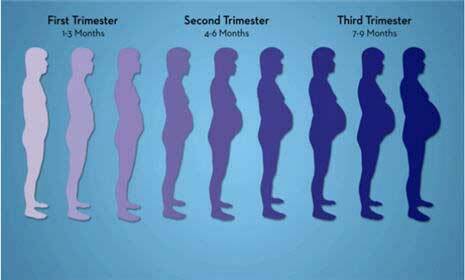 I had a rough first trimester, as I imagine most first time mothers have. I found out green tea was not good as it reduced absorption of folic acid which is essential for the baby, green smoothies were a no-no especially in India where one is never sure of the hygiene of raw veggies no matter how many times you wash them (better to cook the greens into sabji or soup rather than a non cooked smoothie), also that sprouts were a no as well because of all kinds of food borne organisms that could get ingested, fish was questionable due to mercury levels… the list kept right on. Now I may not have been the healthiest eater out there but suddenly all I deemed healthy was turning out to be harmful for growing foetus! Also my favourites like chocolate, coffee, all processed food, frozen meats were off the table. And the morning sickness, and sheer tiredness of the first trimester had dragged me down to a mental fatigue where I wasn’t sure if I was doing right by myself or my unborn kid. That’s when I turned to meditation, or at least hoped it was the solution. I googled, and you tubed my way and found prenatal exercise to the rescue. I lay in bed, having taken a week off work and just watched videos of pregnant ladies working out. Now exercising in pregnancy has many advantages such as reducing blood pressure, chances of gestational diabetes, keeping joints healthy and aches and pains at bay, helping in labour and regaining your former self faster post delivery; but let me tell you how it helped me. “some days are good, somedays you will be tired, it’s normal “ I was just glad that someone understood that I was tired, these suoer fit moms doing toe Taps spoke of days when they shouted at their spouses, or just didn’t want to lift a finger. “my back gets so tight and the legs cramp ..” there were wonderful easy sways and stretches and easy low impact things I could attempt which were perfect for days when I just felt too blah. “I am so proud of you for doing something good for yourself and your baby” I needed to hear that, because at that stage I felt nothing I did was doing any good, for either of us. “hug your baby with your abdominals” they didn’t say contract your abs which I always hated to do anyhow, no one said I need to do crunches or work out on my midsection , I was too scared to even breath too heavily lest I do some irreversible damage. Slowly as the words started making an impact I took up the easier exercises That I could do lying down itself, things that didn’t need me to get out of bed. I built my way up to a 5 minute step walk in the comfort of my room, and then added another 5 minutes of light functional exercises the videos recommended. Some days I just didn't do anything. But eventually I was getting my mojo back. The increased blood circulation would reach my baby, make it stronger. The pumping of blood would reduce my nausea and fatigue, and atleast momentarily make me feel agile and like my former self. Slowly as we ambled into the second trimester and finally to the half way mark, I was confident to workout along the videos for the full 20 minutes to half hour. I never pushed and neither did my virtual instructors. I didn't have the option of joining prenatal classes, since there weren’t any in my part of town, but I wonder if I would have joined. The need to wear gym clothes, or workout clothes, reach a plac eon time, fixed workout timings may have been detterents. I never really stuck to gyms in my pre pregnancy life either. But this was different I could do what I wanted when I wanted, and wearing my nightgown if I so pleased. I had never used you tube videos in my pre pregnancy life either. The reason was simple, all those toned women with their washerboard abs were already at the finish line, and I was no way near that mark and there was no guarantee that what they were doing in the video had made them the way they were. They were born that way , was my reasoning. But seeing former miss India, Lara Dutta, with her slightly puffy face, and edematous ankles moving from one yoga asana to the next helped me realise that her body is changing and we are in it together. Fit zumba instructors, now in the throes of pregnancy spoke of taking time to connect with the baby, and also about leg cramps and hip tightness, made them more human, final we were on a journey towards fitness together. They were still ahead of me, but they were leading the way, not that they stood at the finish line while I huffed and puffed my way up hill. I will admit I haven’t been the most regular, I have already crossed my ideal weight and on my way to gaining more weight than I should have in this pregnancy and that is OK. Because I do my prenatal exercises not to look beautiful, or lose weight, but for my peace of mind, to feel slightly in control, while hormones and other things take charge of my life. Here are a few videos that I have found useful, feel free to share your own videos and tips. colleen riddle's entire first , second and third trimester workouts. 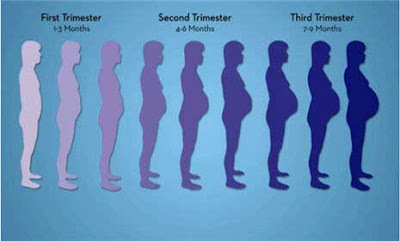 there are three sessions for each trimester. pretty heavy duty but go slow and build up. you can do it! here is one of them. Nice post doc :-). This post of yours will be useful for me in the near future. Thanks for sharing this information with us and Have a nice day ahead. What I really liked about this post was actually how you blended your own experience with information and shared it all as a story... it was wonderfully written and I enjoyed reading it. And I'm so glad that you're finding relief in exercise in this stressful time. Hope there's more pampering and joy on the way! Kuheli, you got me on a memory trip there. Very well written indeed! I had been there, done that. Its was very difficult to come to terms with my overweight body and puffy face. Despite the obvious discomfort your are facing, your tone is so amiable. Does being a doctor helps you taking it easy or does it make one paranoid, as you know everything that may be occurring in the oven? Would like to read one on that! Suresh, you have no idea how lucky! Akatsuki, thank you for your words. shwetaraoauthor, absolutely, I am terrified , I know how important the first few minutes of life can be, i deal with so many kids who, well have a difficult life ahead because of small problems perinatally. I do plan on writing it, but only after my healthy bonny baby is born. dont want to jinx it. Great going my girl.I don't have a well toned body, nor do I possess washerboard abs,& those are definitely not my most important choices. But its important to be sensible, natural,& listen to UR body. It will tell you what to do.Everything in moderation is the correct adage,& Youtube & Google may not always be the right way out. So you are doing fine, trust your senses,& do what works for you. Enjoyed reading this post. Yes, brought back memories even though ante-natal exercises was a 'foreign' concept at that time. Love the way you are able to show the challenges of the trimesters in a positive way. Thanks sonia. A little secret I was initially going to rant about the ' miss know it alls' in the ' mother hood ' world the amount of mommy shaming which has become so fashionable these days.had titled it 5 types of moms you meet during pregnancy. :/ but after a cathartic talk with husband I realised I needed to let the negativity go.